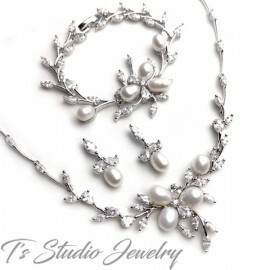 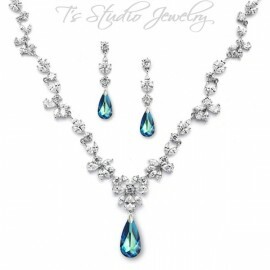 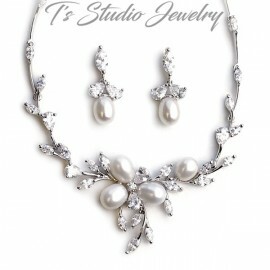 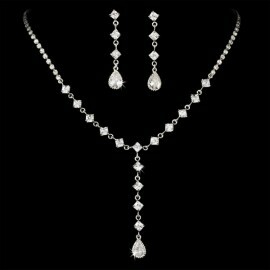 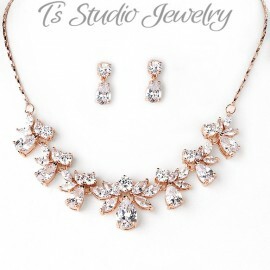 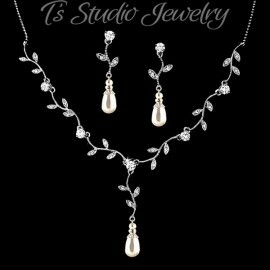 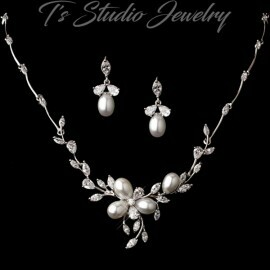 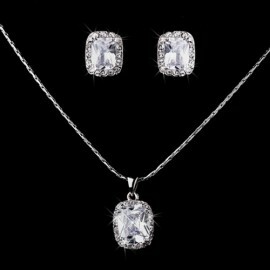 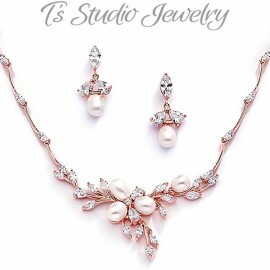 This stunning sterling silver necklace and earring set is elegant and timeless. 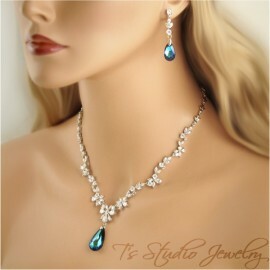 The earrings have a marquise shaped post style base, with dangling pear shaped teardrop cubic zirconias. 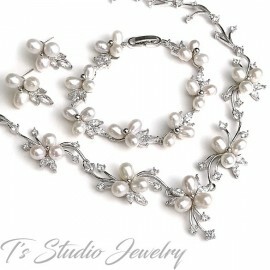 Necklace measures 16 1/2”, with a 1 1/2” drop, and a 2" extender on the back.